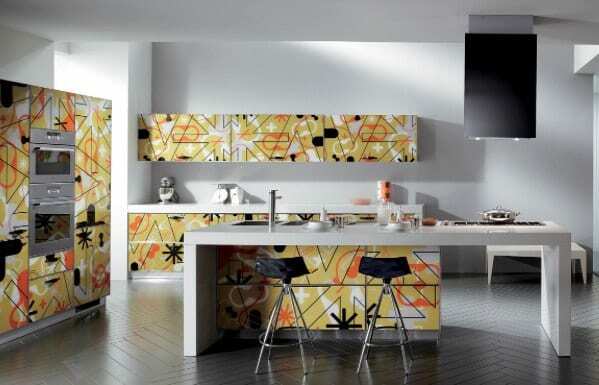 Living Crystal is a motif from Scavolini that creates wonderful colors that can be used in the kitchen or living room. 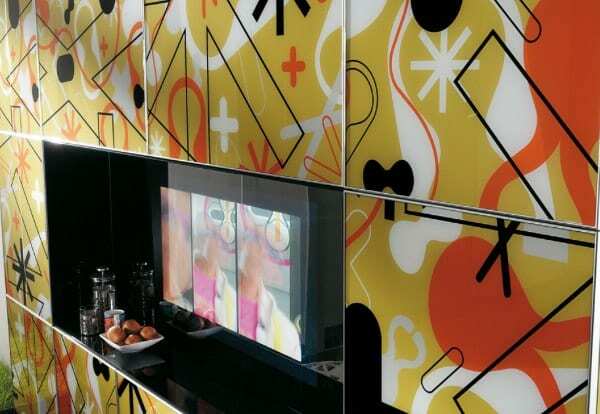 The design creates a pop art feel or others might consider a unique tile pattern that certainly has an influence by art. That is what is shown here in the kitchen design. 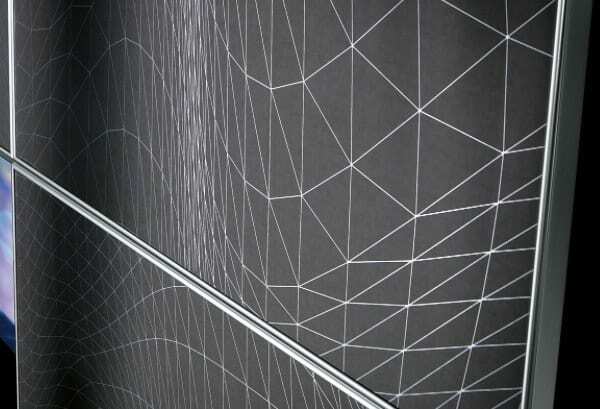 in the living room the black Flexus door creates another striking visual of colors to help turn the wall into a show piece for the living room. Source: http://www.scavolini.us.